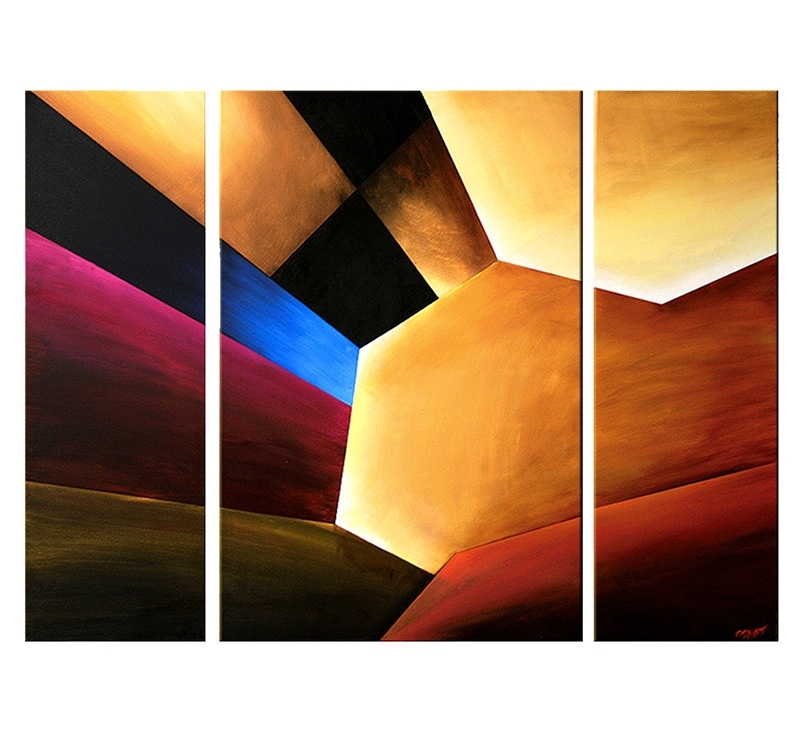 Coloured geometrical shapes in an abstract paint triptych ! The dimensions of this multiple paint canvas are 80 x 80 cm. 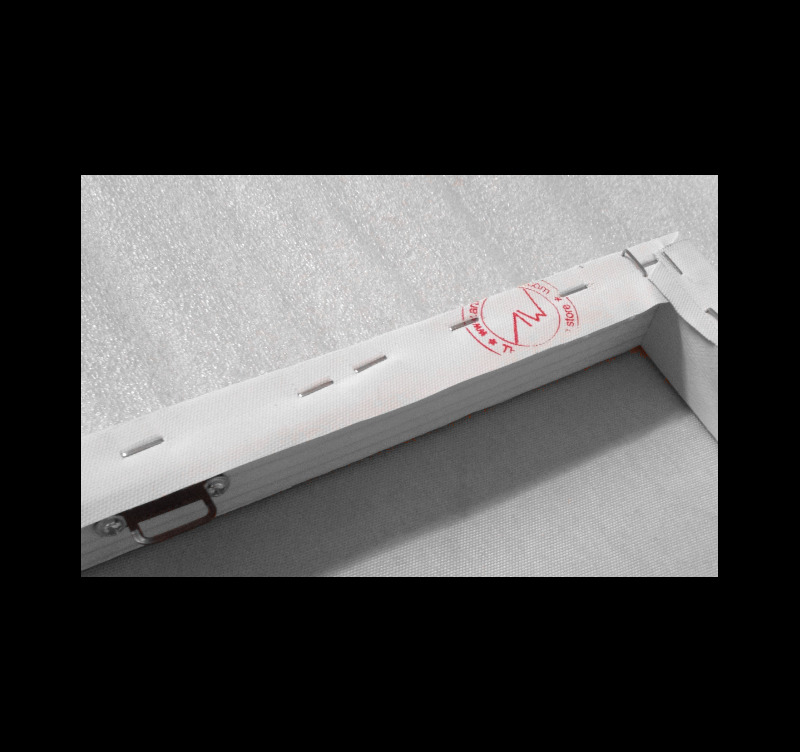 For the purchase of this wall paint canvas, the 48h delivery is free in metropolitan France and Belgium. This abstract paint canvas is brush and hand painted by our Artwall and Co artists. In three boards, this paint wall decoration proposes a maze of geometrical shapes for a design and trendy interior. This multiple paint canvas will perfectly match a coloured and modern ambiance to become the centrepiece of your interior decoration. 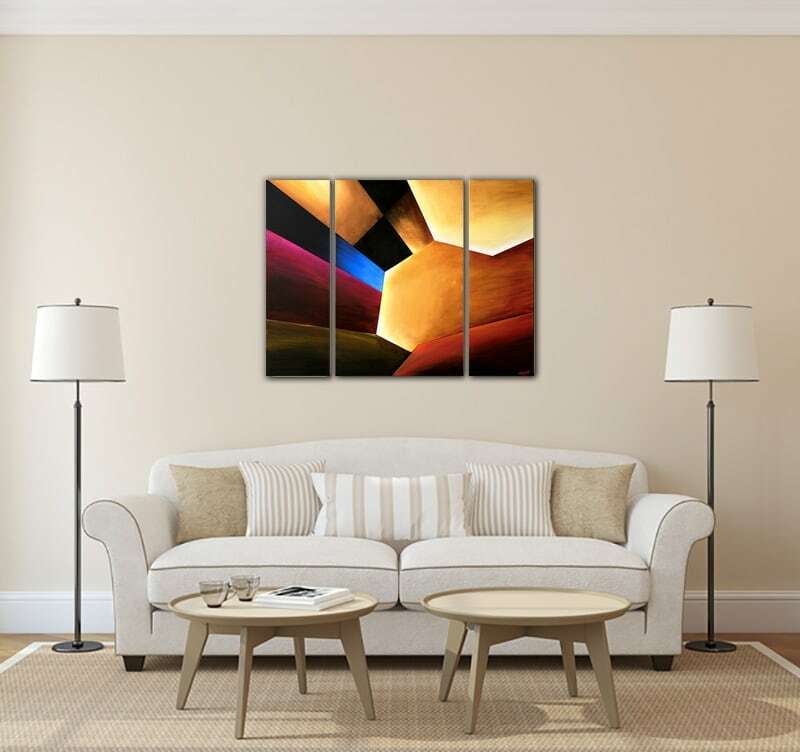 The brush strokes will give some relief to your walls thanks to this geometrical abstract painting looking like an artistic canyon. Red, blue and yellow will light up your wall decoration while offering an off-the-wall deco triptych. The decorative wall canvases of this category are painted on a cotton canvas and stretched on a Canadian pinewood frame so the picture is ready-to-hang. 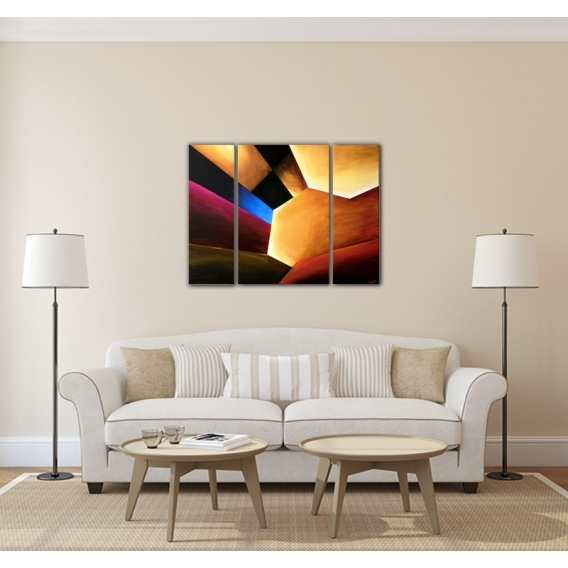 This canyon paint canvas is delivered wrapped and with cardboard corners and hanging system. All the design triptychs of the abstract paint canvas category are original works guaranteeing a long-lasting quality and finish.